Email newsletters are an excellent way to keep both current and prospective customers up to date on your brand and its offerings, nurturing leads and gently guiding them down the sales funnel. As a cornerstone of email marketing and content marketing as a whole, newsletters are sometimes overlooked in favor of lead generation assets such as white papers and eBooks. However, once leads are captured, email newsletters are an essential part of the follow-up process to convert website visitors into paying customers. Brafton’s newsletter writing services cover everything from content creation to management of email newsletter campaigns. Industry-focused writers partner with content marketing strategists, project managers and designers to ensure your newsletters are tailored from top to bottom to engage your target audience with valuable, relevant content geared toward driving traffic back to your website and serving established commercial goals. Campaigns are thoroughly tested and measured to determine performance and support further refinement to maximize results. Despite the rise of social media and new marketing techniques, email marketing remains one of the most essential components of successful content marketing. Email consistently delivers high return on investment, indicating consumers are engaged with well-designed email content such as newsletters. Thanks to the ubiquity of email as a technology, as well as advancements in email marketing automation technology, it’s easier than ever to reach vast amounts of people with email newsletter campaigns. At the same time, recipients can be segmented based on demographic information, including age, gender, job title and more, so you can drill down to your target audience even while reaching out to a huge number of people. Lead generation content marketing assets may be essential to capturing individuals’ personal details, but acquiring a lead is only the first step in the process. You must then nurture leads to help them them through the sales funnel from general brand awareness to making a purchase. Email newsletters allow you to accomplish this, keeping your brand and its value proposition top of mind for consumers without overwhelming them with overtly promotional content or sales pitches. Instead, through email newsletters, you can highlight your expertise, demonstrate your trustworthiness and subtly accentuate your products and services. Incorporating industry knowledge, internal subject matter expertise and proven email marketing best practices, your Brafton content writer will create email newsletters designed to resonate with your target audience, whether it be through the inclusion of news-based trending topics, educational evergreen articles, interviews with thought leaders or more. Content will vary depending on the recipient. For instance, existing customers may be more interested in news and information about products, services and company goings-on. Meanwhile, potential customers will likely respond more positively to content that demonstrates the value provided by your business, or more general information that presents your organization as a thought leader in its space. While business-to-consumer newsletter creation may sometimes focus on generating direct conversions in the form of a purchase, business-to-business email newsletters tend to concentrate more on other conversion options, such as product demonstration requests, as well as upsell opportunities in the case of existing customers. Brafton’s newsletter writing services begin by zeroing in on your target audience, with content based on subscriber personas, demographics and the stage of the buyer’s journey. The goal is to create content that is personalized to the recipient in order to encourage higher open and click-through rates. Brafton content writers also understand the importance of avoiding the use of identical layouts, including both text and images, for different campaigns and audiences. The tone and style of emails should be tailor-made for the individual it’s intended for. Special attention is paid to the creation of subject lines during the email newsletter writing process. Your content writer is trained to utilize language proven to increase open rates, such as words that instill urgency and value in the reader’s eyes. 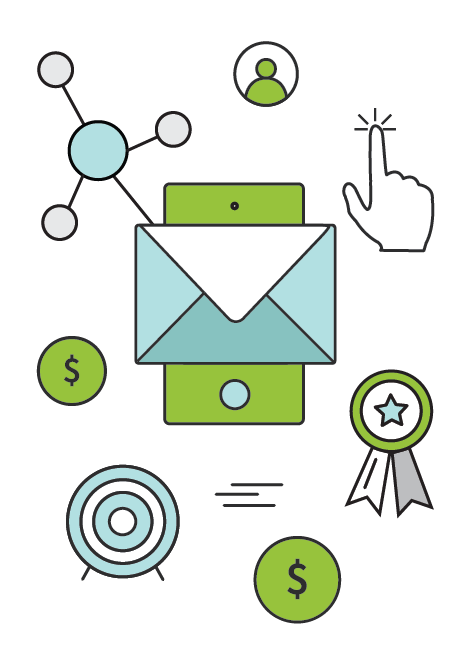 Together with personalized details, such as the recipient’s name, industry or location, direct subject lines that incentivize opening emails help support greater ROI. At the same time, Brafton content writers know to avoid false or overly dramatic language that may turn off recipients or cause email service providers to mark emails as spam. Content itself is crafted with a balance between education and entertainment in mind, appealing to recipients through interesting topics that also provide relevance and value. Overly long emails are avoided in favor of direct-yet-engaging newsletters designed to grab and hold on to audience attention, encouraging recipients to learn more. The content included in your email newsletters can be repurposed from existing blog posts, white papers, eBooks, infographics, videos or more. At the same time, your Brafton content writer can craft completely original content as you prefer. The goal, regardless, is to ensure all content appeals to the wants and needs of your target audience and demonstrates your standing as a source of value and relevance for customers. Beyond the content of the email newsletter itself, it’s vital to ensure the email as a whole is readable and engaging. This includes using bullet points and subheads to break up walls of text, as well as implementing rich media options, such as custom images and videos. Brafton designers and videographers can create custom illustrations and clips intended to drive traffic back to your website, as well as unique, clickable calls to action that simplify the conversion process and provide current and prospective customers alike with easy next steps to follow. Beyond the content creation portion of Brafton’s email newsletter writing services, you can count on your content marketing strategist to utilize leading marketing automation technology to engage your target audience and ensure newsletters reach their intended readers. 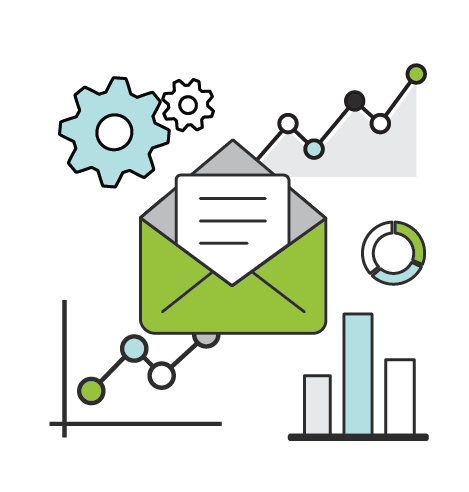 Your strategist can walk you through the data analytics showing how your email newsletters are performing in terms of open rates, click-through rates and conversions. Your strategy may then be adjusted and improved as necessary to maximize ROI and ensure your email newsletter campaigns are turning your subscribers into clients.